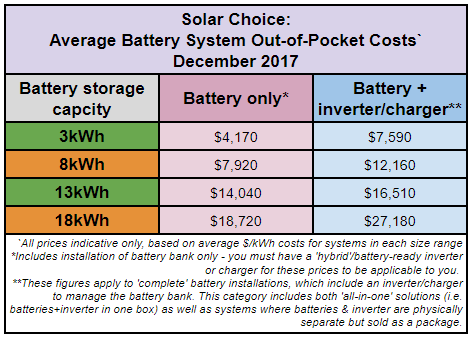 Welcome to the second edition of Solar Choice’s Battery Storage Price Index – the companion to our Solar PV Price Index, which covers solar system installation prices around Australia. The aim of the Battery Storage Price Index is to assist you in determining whether batteries are right for your home. 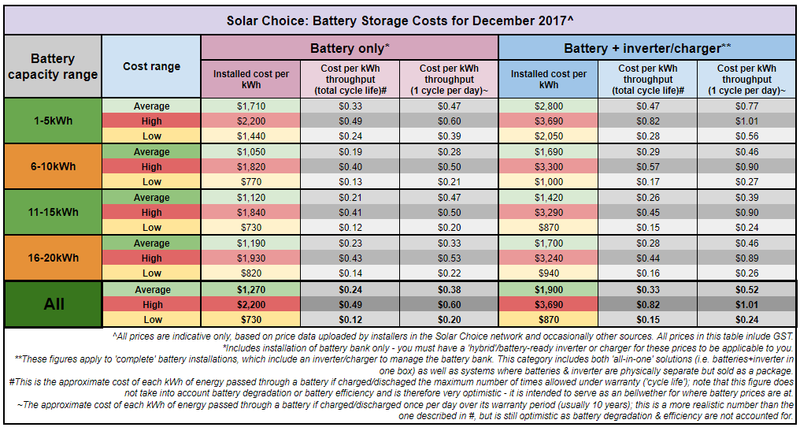 Average battery system prices for the month of December have dropped slightly from November, at about $1,710 per kilowatt-hour (kWh) of storage across a range of system sizes (due mainly to more mid-range products having been added to the database). The low remains steady at $870/kWh. All the battery products use some lithium variant and have a 10 year warranty. 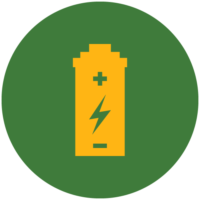 The battery brands included this month are Alpha-ESS (various sizes) LG Chem (RESU line, various sizes), Tesla Powerwall 2 (13.2kWh), Enphase AC Battery (1.2kWh), and Pylontech (various sizes). Inverter brands included are Redback, Sungrow, SolaX & Goodwe. The ‘Are we there yet?’ Meter (the chart below) gauges the overall attractiveness of home battery storage in Australia.. We look at the national average & low battery prices for moderately-sized (5kWh & 10kWh) ‘full’ battery systems (not a specific product, but more an amalgamation of various products that we’ve seen) and see how the estimated payback periods stack up against a theoretical ‘ideal’ payback period of 7 years; we see this 7 year mark as being a reasonable marker of the battery market being where it needs to be to make sense for most households (the ‘there’ in ‘are we there yet?’). 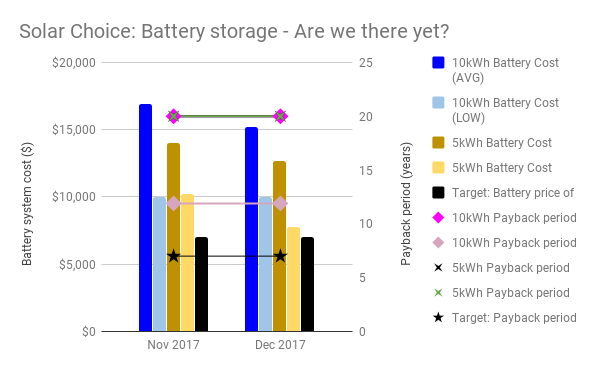 At just over $1,000/kWh for systems on the ‘low’ end of the price spectrum, and with payback periods coming in at just over 10 years, we’re close enough for lots of Australians to justify making an investment in batteries to themselves (as many already are) but not yet in the territory of ‘mass appeal’. Remember that this chart is meant to reflect the national situation as an amalgamated whole – your individual circumstances (including the state you live in, the amount you pay for electricity & the deal you get on a battery system) may be conducive to shorter payback systems, so we encourage you to look into it for yourself.